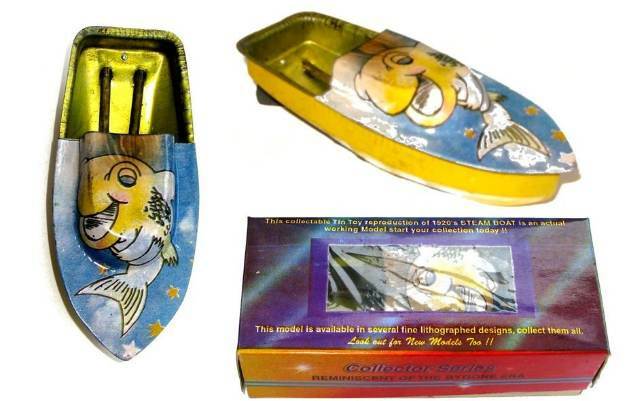 Fish Design Pop Pop Boat. 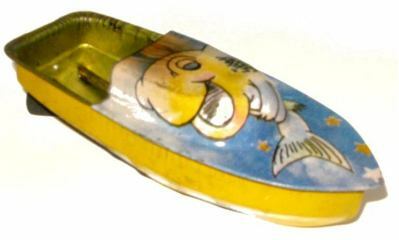 Fish Design Pop Pop Boat. Manufactured by Rattandeep India, possibly late 60's early 1970's. A cute fish design on the top deck and on the hull. In used condition with scortch marks to the top deck. Original box in good condition.